I think it's time to distribute the torches and pitchforks. I lend thee my trusty defibrillator! TL will be down in 5 hours. If we're not on the sidebar by the time TL is back up then it's time for more drastic measures. I'm not going to let this topic die. We need this, and we will continue to riot angrily until we get a response! Honestly the fact that health and fitness is on the sidebar when it could very easily be one thread and mafia isn't when it's been around for so much longer is unfair and hurting ESPORTS! Uh... Mafia is not on the sidebar because??? We're not just gonna forget about this! You can break our banners, but you cannot break our resolve! If Mafia is on the sidebar I'm sure that both myself and most other TLers would start playing. Go R1CH, Defeat the evil overlord Hot_Bid! No I don't want a free sign, why are you dragging me with you, where are we going? It was in the middle of this escalation that a single man, now known as the Polish Terror, decided to take matter into his own hands. Taking a gamble he headed into Team Liquid Community and issued a manifesto, daring in both its content, accusations and tone. For those not too sensitive, it can be found here. This shocked and appealed many , and only added flames to the fire when the administration instantly cracked down and forced the man and his manifesto to leave TL Community, censoring all the content of the manifesto. The Polish Terror himself hardly escaped unscratched. I thought I advocated not escalating things? This will not end well. Kurumi, you weren't supposed to activate the secret plan yet. Our crusade just got harder since you jumped the gun and showed our hand. It's alright, we still have a few tricks up our sleeve, we will win in the end! Since TL Admins are deaf to our peaceful suggestions, I, Kurumi the Polish with bad grammar am starting an UPRISING. Since TL Admins are thoughtfully considering our proposition, I, Kurumi the Polish with bad grammar offer Potatoes as a token of peace. TL Mafia must appear on the sidebar in 24 hours from date of this post! We can of course fight for it. 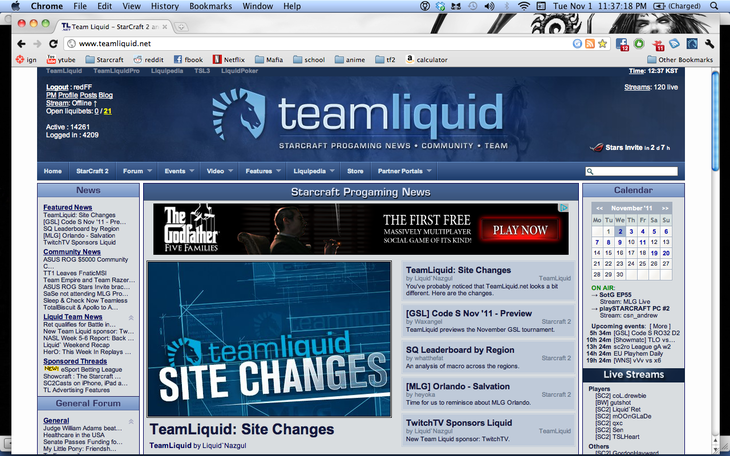 We would certainly appreciate it if TL Mafia appeared on the sidebar. We patiently await your decision. Then, I want to fight Liquid'Sheth on European servers, with him using ONLY QUEENS AND DRONES versus me in Starcraft 2! If I win in the BO3, TL Mafia will appear on the sidebar, but if I loose, I will be banned for 90 days from TL. I will continue to ignite the forums with holy, green townie fire if I don't get any response from TL staff! I would like to thank my fans for supporting me and I will practice harder to achieve better results in the future. Then, I would like to play the immaculately mannered Liquid'Sheth in a friendly bout of Starcraft 2 on EU, just to show how friendly we can be. Since he is a much better player than I, perhaps he can limit himself to using only drones and queens. Then we can get Day to cast it on Monday. Hot Meal you say? What? No, I don't understand, talk louder, I'm a little deaf. No I don't want to bid on any hot cars, thank you. Now go away young wimpersnapper, I'm tired. Motbob, have you forgotten all the good times? were all the memories we shared meaningless? Have you moved on to a better forum? A better cliche? Were you really just a spy all that time, eager to betray our trust? No, I have to believe that somewhere, somehow our time together meant something to you. I support this move. I really see no reason why every other sub-forum in sports and games have a place on the sidebar, but mafia doesn't. as a neutral observer of the topic, i think these people should get their spot in the sidebar. it's a question of tolerance! TL needs the diversity! Clearly hot bid has been in secret communications with EG forcing MMA to pick Yugioh so that the entire community is distracted while he kidnaps Nada and replaces him with a clone for experiments. Using Nada's Body Hot bid forces R1CH to update the TL site and increase the size of his secret love affair the Blog section while ignoring the rioting Mafia supporters. We haven't occupied Team Liquid? We haven't lynched Hot bid and voted someone into his place to do our bidding? I could have sworn I had trained you people better. Do not worry, I have my third party sources ready to storm TL HQ to bring the infidels who refuse to follow reason to justice. The reckoning is coming! I'd rather not have it on the sidebar, as it's just going to eat up vertical space (even with the forum "minimized" it still takes space. If there's some option to completely hide it, then I'd be fine with that, but as it is I already have a bunch of forums hidden that I don't want to see, so it'll just push things I do want to see further down the page. 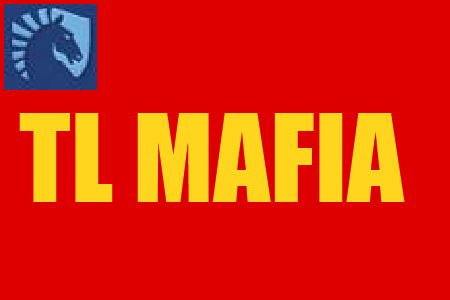 Mafia is already a relatively selected group of people who are already in the community anyway. All we want is a subforum like H&F, LoL, or DotA 2 which can be minimized. If being minimized isn't enough then replace H&F or Diablo 3 with us. We've been around waaaaaaaay longer. The man is rumored to have escaped with his life, although this is unconfirmed. We here at TL News hope he made it out ok. During this time the protests continued to demand an official response and restate their reasoning behind demanding fair and equal representation. You are the loyal TL Mafia citizen with no night actions. All you can do is vote during the day. But the town needs you to win so be active! Your goal is to eliminate the good people of TL Mafia. Your ability, is killing off whomever you decide on at night. Mafia killing power is always 1 until there are no mafia remaining. Sorry, this is a no silly thread zone. Up Next: TL Mods; Oppressive Fanatics or Heros of the People? GMarshal, Team Liquid News, providing the most unbiased and accurate news on TL since 2011, out. 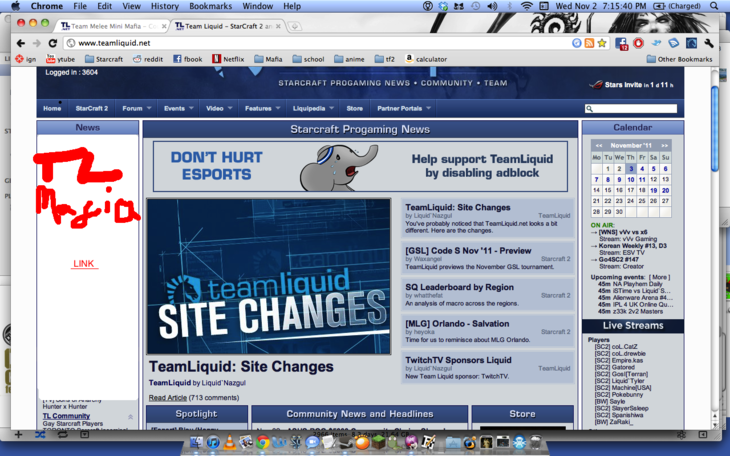 TL Mafia on the sidebar! This is a case study in the power of the people. Fellow mafia bretheren, we have over come! Keep up the great work TL News! Personally, I loved your coverage of yesterday's event! Breaking news. MLP has been cancelled. Forever. No more friendship. You can all go home now. Reporting the truth since 2011. BR, you're now obliged to come play with us. What, no mention of the Popcornocolypse? GM, time to setup that game for real! This is too well done you have to have insight on something more then what your admiting. Easiest scum call ever. We won btw. Mafia is now default opened up to people on the sidebar. oj, you seem a lot smarter now, nice. How did it turn out, did you file charges against that girl who stole your headphones and broke your heart? This reminds me. I don't understand kidnappers in movies who cut up newspapers and magazines and stuck individual letters to form a "threatening" ransom demand. MS Paint is so much scarier. That said, if blogs are so dear to Hot_Bid, shouldn't the mob be ##Occupy Blogs?